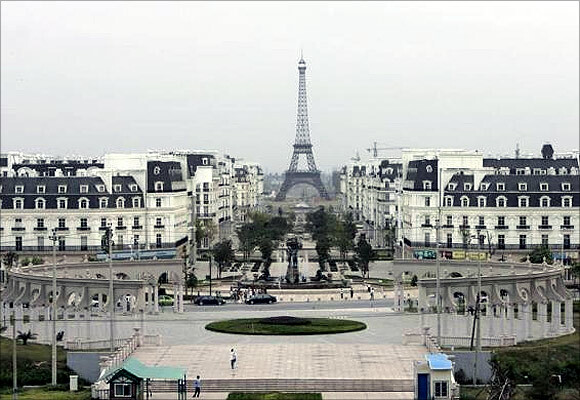 A residential area has been built in China with architectural designs copied from Paris along with a replica of the iconic Eiffel Tower. Designed to accommodate at least ten thousand residents, it is now considered a 'ghost town', reports Reuters. 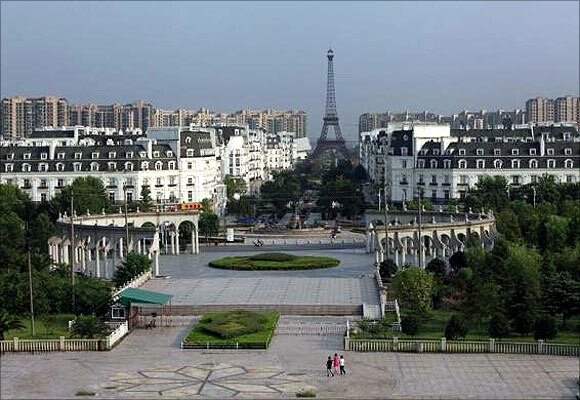 Built in 2007 by real estate company Zhejiang Guangsha, the residential area with European-style villas was built to attract the country’s wealthy people. However, the town now has a population of just two thousand people as many people are not able to afford the houses in this area. 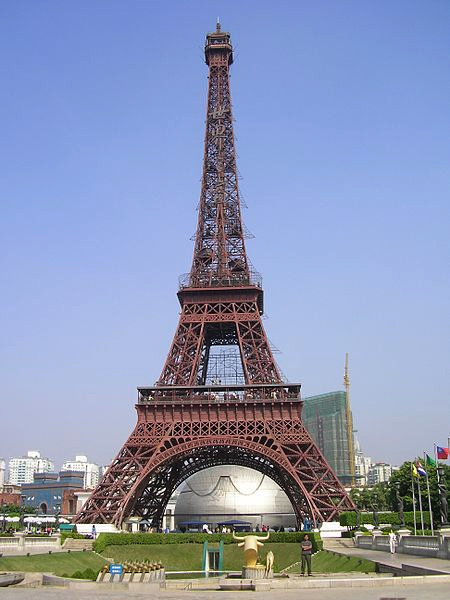 Image: Efiffel Tower in China. 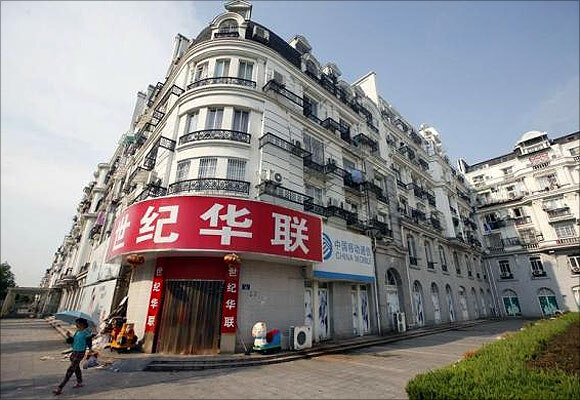 A view of the Tianducheng development in Hangzhou, Zhejiang Province. 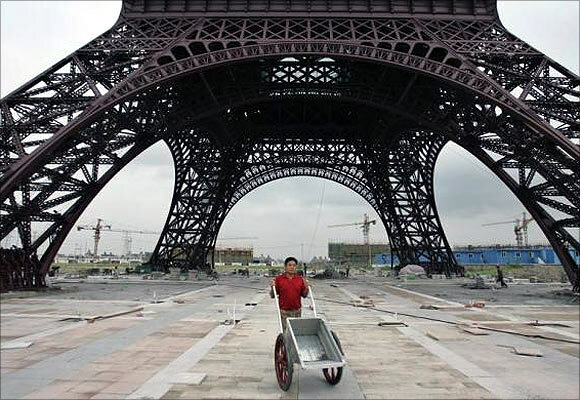 Image: A farmer walks through a field near a replica of the Eiffel Tower at the Tianducheng development in Hangzhou, Zhejiang Province. A resident stands on the balcony of his apartment at the Tianducheng development in Hangzhou, Zhejiang Province. 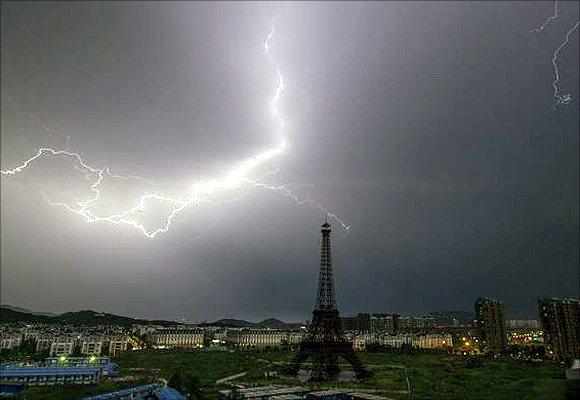 A lightning bolt streaks across the sky above a replica of the Eiffel Tower at the Tianducheng development in Hangzhou. A woman walks past a supermarket at the Tianducheng development. 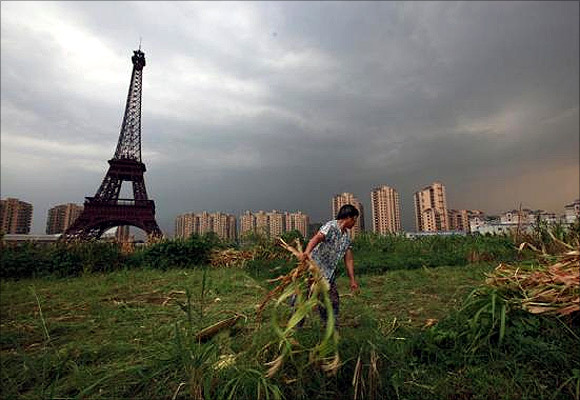 A farmer collects corn stalks in a field under a replica of the Eiffel Tower at the Tianducheng development. 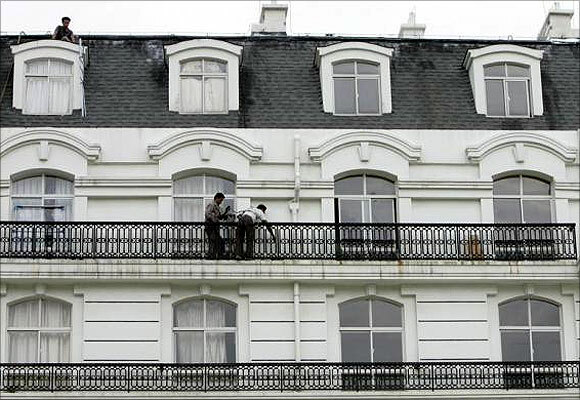 Workers stand in a balcony outside an apartment at Tianducheng. A worker pushes a wheelbarrow at a construction site in Tianducheng. An aerial view of Tianducheng, a residential area on the outskirts of Hangzhou in east China's Zhejiang Province. 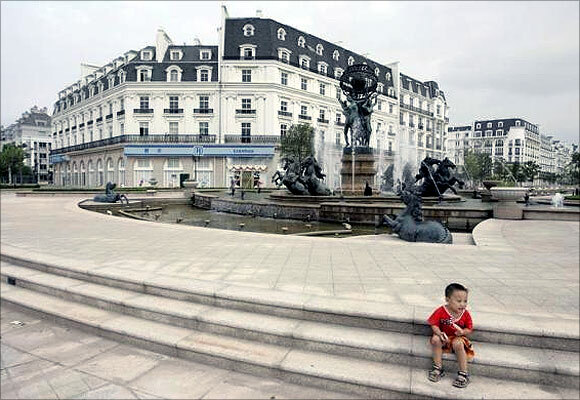 A boy sits in front of a fountain at Tianducheng. 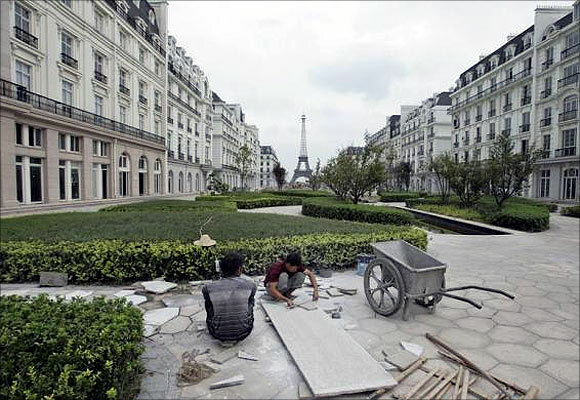 Workers fix the bricks on the pathway at Tianducheng. 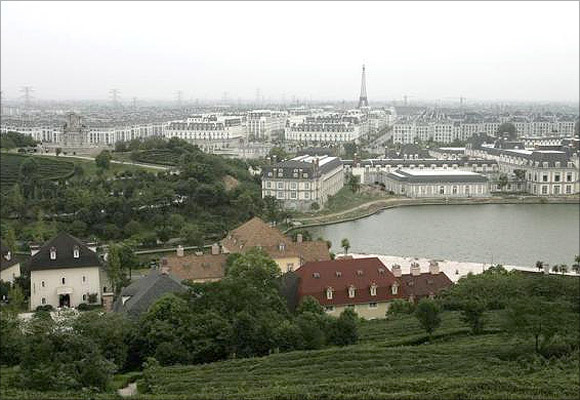 An aerial view of Tianducheng, a residential area on the outskirts of Hangzhou.